When you run a business, there may come a time when you choose (or even need) to employ people within that business. If it grows quickly, or you want to spend more time doing other things, having staff to help you and relieve the pressure on you is all-important. Yet it is not as simple as just putting out a hiring ad and interviewing those who seem right for the job. You also need to take care of them once you hire them. Otherwise, they will soon move on to somewhere that does put their needs as a high priority, leaving you to start all over again. 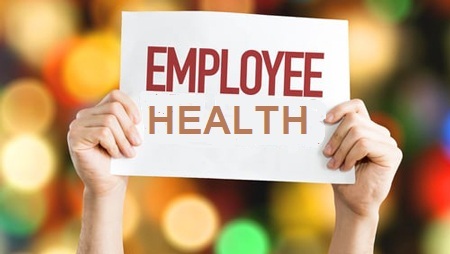 Health is an important aspect of having employees, and needs to be something that you consider carefully. Here are some of the things to look out for and some ideas on how to manage any issues that occur. When your employees are well, they are going to be more engaged in what they are doing. They won’t be distracted by pain or by problems they may be experiencing when it comes to mental health. They will be able to concentrate entirely on the job they are meant to be doing. If you find that any employees are lacking in engagement, make sure you speak to them, not to admonish them but to find out what the issue might be. It could be a health problem, in which case it is important for you to deal with it as a manager. It might be as simple as sending them out to get some fresh air, or perhaps sending them home for the day to recover, or it could be something more serious and you will need to arrange for a medical assessment. Either way, the fact that you are caring enough to ask is an important element of a happy workforce. When an employee is in good health, they will miss less work. This means that everything will continue smoothly, and there will be less for you to deal with. When an employee is sick, others will need to pick up the slack, and that might mean causing disruption to the workforce, and to yourself. Not only that, but it will potentially put projects behind and cost the business money. This is why it is important to keep up with employees’ health and ensure that you are doing everything you can to keep them as healthy as possible. From providing ergonomic furniture to ensuring they have enough break times, the more you can do to make them as comfortable as possible the less time they will take off work, and the better your business will be. When you provide a truly supportive environment at work and put an emphasis on employees’ wellbeing and wellness, you will find that they stay more loyal to you for longer. They will be happier, feel appreciated and valued, and will do a better job in a more efficient way. This is great for your business, but it also means they are more likely to stay with you for a long time, saving you the hassle and cost of having to find new employees. This is particularly important if someone has been signed off sick for the long term, perhaps after surgery, or because of a medical negligence issue. By checking in with them to find out more about this case, ensuring they are progressing well, and offering them a staged return to work, you are showing that they are still important to you and that the business needs them. This can help them to feel more confident in coming back to work in the first place, and give them the boost they need. This saves you more money and shows that you are a caring employer which will boost your reputation all around. Employees who are well cared for and who have their health looked after at work will be more likely to engage with and think about what is going on around them, and this means that they will offer constructive feedback regarding their jobs and the business in general. This might happen spontaneously, or because you asked for it specifically. Either way, the employee who knows their health is being looked after will feel confident and happy to put forward new ideas to help the business grow. Although you won’t be able to, nor want to, implement every piece of feedback you get, it is important to listen and to determine what is going to work for you and what won’t. You might find that you hear useful ideas that you simply hadn’t come up with before. This can really enhance your business in ways you hadn’t thought possible. When you are a caring enough employer to notice health issues and provide as much support as possible when they occur, you will find that employees are willing to do more and be more flexible in their work because they know they are valued and they want to do as much as possible for you and the business. Although no employee should be taken advantage of, this can be useful for your business. You could offer overtime, and be sure that someone will take up the offer, for example. You can see just how important it is to help employees maintain their health, and to ensure that, once they are sick, they can quickly and easily return to work. It is useful to know how this can be done in a practical way within your business, and here are some useful ideas. Offer flexible working: Flexible working hours, or the chance to work from home, can improve employee health and reduce sick days. It can even make them more productive. Offer healthy snacks: Some of your employees may not have the best of diets. They might eat poorly and choose fast food over freshly made meals. If you can offer a range of healthy snacks, then you can be sure they are eating at least some nutritious food. Ergonomic furniture: Ergonomic furniture are desks and chairs that are designed to support the body. Poorly designed furniture can cause pain and reduce concentration.